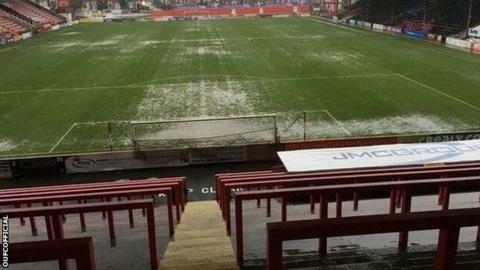 Exeter City's game against Oxford United in League Two has been abandoned because of a waterlogged pitch. Following heavy rain overnight, the referee was called to St James Park early and with standing water on the pitch and more rain due on Saturday, he made the decision to call the game off. Oxford are currently third in League Two, seven points behind leaders Northampton, while Exeter are 12th.